Ski vacations take place in breathtaking destinations. There are mountain peaks, endless winter wilderness, and fresh snow. These are perfect settings for enjoying the outdoors, even if you aren’t a skier. Here are four RTX destinations where you can still enjoy the winter wonderland when not strapping into the ski boots. Massanutten Resort in the Shenandoah Valley of Virginia offers year round family-friendly activities even if you don’t take advantage of the resort’s 1,110 feet of vertical skiing. For one, there’s the year round indoor waterpark, where the temperature is a constant 84 degrees. The surf is always up on the pipeline Flowrider standing wave, and kids can frolic in the 12-inch-deep frog pond, or 36-inch-deep family friendly Shenandoah Cove. Watch out for the central feature of the park, the Massanutten Meltdown, a giant bucket which periodically dumps water on screaming children! When visiting Banner Elk, North Carolina, in the winter, no doubt Sugar Mountain will be mentioned. It’s one of the tallest ski resorts in the state, but it also offers snow tubing and ice skating as an alternative. Located on the Sugar Mountain golf course, the 700-foot-long tubing lanes are serviced by a very user friendly magic carpet lift. Night tubing is also available on the groomed course. 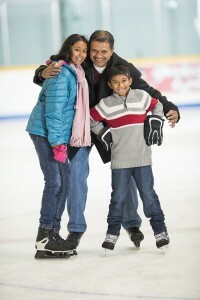 The resort also boasts a 10,000 square foot refrigerated outdoor ice skating rink, and guided one-hour snowshoe tours. Rangeley, Maine, is a paradise for anyone who wants to be outdoors. 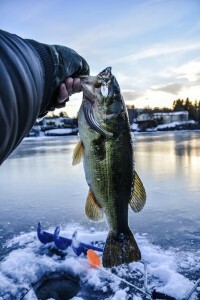 The area consists of 99 percent forest and water, and has one of the best snowmobile trail systems in Maine, not to mention some killer ice fishing, cross country skiing, snowshoeing, and skating. 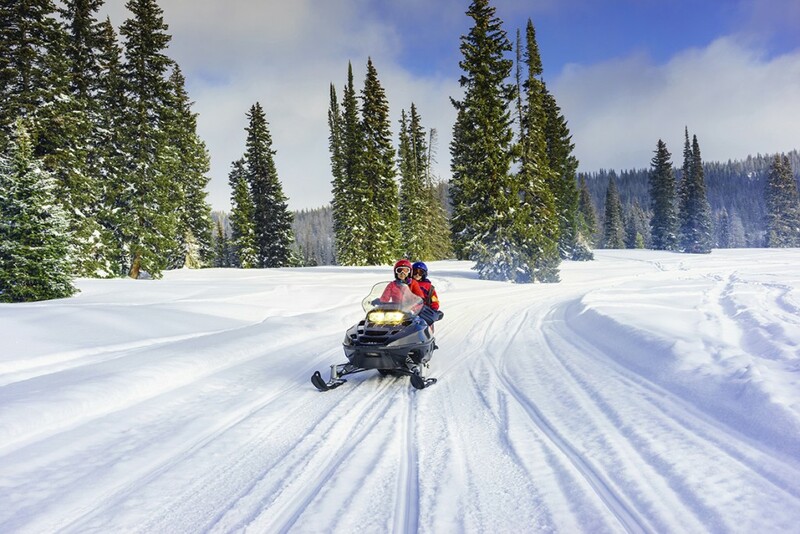 The snowmobile trails are groomed daily with many pubs and restaurants trailside, and the snow is known to be very abundant, making for some epic conditions. Colorado has no shortage of ski related activities, but did you know that heli-skiing isn’t that popular there? The terrain is simply too high up, the noise impacts local towns, and national forest permits are difficult to obtain. Thus, snowcat skiing lies as an alternative in Steamboat Springs. You’ll still get fresh tracks, won’t have to worry about weather grounding your day, and will spend a lot less money.